The Roman Score was an algebraic English alphabet containing 20 symbols which hold both numeric and phonetic value. In other words, the Roman Score served as both an alphabet and a numerical system simultaneously. The Roman Score was likely used prior to the fall of the Roman Empire and abandoned shortly after their subsequent move to Greenland roughly 714 years ago. A “score” is defined by Merriam-Webster as a group of 20 things while Wikipedia states that a “score” is often used in combination with a cardinal number which may be identified with the naturalnumbers beginning with 0. 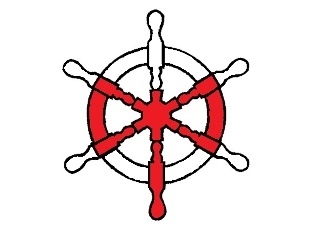 Aside from the symbol "⅃", (i.e., the letter "L" in the English alphabet), 19 of the 20 symbols found in the Roman Score were evidently derived from the Wheel of Fortuna, otherwise known as a nautical steering wheel. The numeric system known as “Roman Numerals”, the writing style of “Old English”, as well as the languages of “Italian”, “Latin”, “Romanian” and “Romansh” were evidently created hide the Roman Score and disguise the fact that English was the language of Roman Empire. In a calculated attempt to confuse historians and mathematician’s alike, the Roman Score was divided into a set of 10 numbers (i.e., 0-9) and 26 letters, commonly known as the English alphabet (i.e., A-Z). Of the 20 symbols found in the Roman Score, only 10 of them are evident today in the modern Roman-English alphabet (e.g., "H", "I", "M", "O", "S", "T", "X", and "Z") which now contains 16 new letters (e.g., "A", "B", "C", "D", "E", "F", "G", "J", "K", "L", "N", "P", "Q", "R", "U", "Y", and "Z"). Since letters were added to the Roman alphabet at a later date, they were given the name "letter" as in “later”. Aside from scrambling the Roman Code, the creation of 6 additional letters allows for the creation of potentially millions of new words. 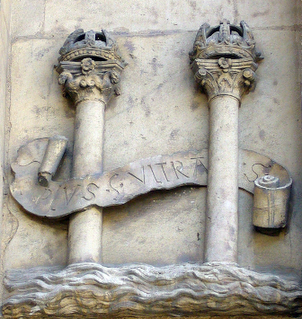 Although not yet confirmed, it does appear that right-to-left writing and reading was instituted at this time as during the Roman Empire, text was written in scrolls and therefore it was written from top to bottom as opposed from left to right. The Phoenician alphabet, also known as the Proto-Canaanite alphabet, was found in the land of Canaan, the Biblical name for Greenalnd, current home of the Greco-Roman Empire. According to the University of Oxford (Oxford University), allegedly the oldest university in the English-speaking world and the second-oldest surviving university in the world, the Greek Island of Crete was the birthplace of the earliest civilization and produced the first “high culture” in Europe. The Latin alphabet, of which English is allegedly derived from, is admittedly based on the Phoenician alphabet. According to modern historical sources, the Phoenician phonetic alphabet is generally believed to be the ancestor of almost all modern alphabets. When alphabetic writing began in Greece, the letterforms used were similar but not identical to the Phoenician ones and vowels were added, because the Phoenician (Greco-Roman) Alphabet did not contain any vowels. Therefore, unlike the modern Roman-English alphabet, the Roman Score did not contain any vowels per se, although it did contain the "O" and "I" symbols which served as both numbers and single words. Of the thousands of letters, numbers and symbols represented in the Unicode character system, there is mysteriously no “Ш” letter which is turner 180° like an “M”, or a backwards “Z” letter which facing the direction of an “S”. These are two of the most basic shapes yet they have apparently been removed from the lexicon either in an attempt to hide the Roman Score or because they are sacred letters. The “O” symbol is the 1st number/letter in in the Roman Score (i.e., the Roman alphabet) and the the 15th letter in the modern English alphabet. Mathematically speaking, the “O” symbol has a numeric value of “0” (zero) in the Roman Score while the letter "O" has a numeric value of “15” in the English alphabet. The symbol “O”, which was ikely derived from the Wheel of Fortuna, tends to double as a "0" (zero) and makes up Binary code along with the symbol "I”. The letter “O” is evidently an acronym for both "zero" (nothing) and "sum all" (everything). The “V” symbol is the 3rd number/letter in the Roman Score (i.e., the Roman alphabet) while the letter "V" is the 22nd letter in the modern English alphabet. Mathematically speaking, the “V” symbol has a numeric value of “2” in the Roman Score while the letter V has a numeric value of “22” in the English alphabet. However, the “V” symbol is often depicted in the English alphabet as the letter “B”. For example, the term “love” can also be spelled and pronounced “liebe” (L+B) as it is in the language of German. Therefore, the term “baby” can also be spelled “VV”. The symbol “V”, which was likely derived from the Wheel of Fortuna, doubles as the letter “B” as well as the number “5” in Roman numerals. The letter “V” (pronounced "B" in the Roman Score") is evidently an acronym for the city of “Babylon”. The Chevron symbol (i.e., “Ʌ”) is the 4th number/letter in the Roman Score (i.e., the Roman alphabet) and does not exist in the modern English alphabet. However, the “Ʌ” symbol is represented in the English alphabet by both the letters “C” and “K”. Mathematically speaking, the “Ʌ” symbol has a numeric value of “3” in the Roman Score while the letters “C” and “K” have a respective numeric value of “3” and “11” in the English alphabet. Known as the lost symbol of the Greco-Roman Empire, it was curiously depicted, albeit in a camouflaged manner, on the cover of Dan Brown’s book entitled “The Lost Symbol” (2009). Based on evidence acquired to date, the “Ʌ” symbol was the likely the first symbol ever used by the Greco-Roman Empire, possibly derived from the Wheel of Fortuna. Therefore, it doubles as the letter “A” in the English alphabet (the first letter), as well as the number “1” in the German language (when handwritten). The “Ʌ” symbol originally represented either the mountainous Island of Crete (home of the Greco-Roman Empire), or the arrow shape of the Island of Rhodes (home of the Greco-Roman Empire’s military base). Consequently, the “Ʌ” symbol was depicted on the shields of the Greek Spartans for it was what the soldiers were in essence fighting for. The Roman cross symbol “+” is the 5th number/letter in the Roman Score (i.e., the Roman alphabet) and does not exist in in the modern English alphabet. However, the "+” symbol is represented in the English alphabet by the letter "D" which is the 4th letter. Mathematically speaking, the letter “D” has a numeric value of “4” in the English alphabet while the Roman cross symbol “+” has a numeric value of “4” in the Roman Score. The "+" symbol (i.e., the cross), which is highly esteemed in both the Roman Catholic and Christian religions, is evidently an acronym for the word “Day” which is indicative of the 24/7 daylight of Greenland. This is likely where the term “Defense” was derived from as there is a fence in the shape of the Omega symbol which encircles Greenland, guarding the underworld from the “Day”. 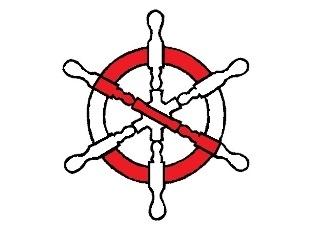 Although the Roman cross is depicted on numerous flags, the square cross representative of the of "+" symbol is only depicted on the flag of Switzerland, the main proxy state of Roman Empire. The "+" symbol is evidently an acronym for the terms "Die" and “Day” which is indicative of the 24/7 daylight in Greenland. The "Ж" symbol is the 6th number/letter in the Roman Score (i.e., the Roman alphabet) and does not exist in in the modern English alphabet. However, the "Ж" symbol is represented in the English alphabet when the letters "C" and "H" are combined to form "CH" as in "church". Coincidentally, "CH" is a digraph (a two-lettered letter) in the Latin script and is treated as a letter of its own in Chamorro, Czech, Slovak, Igbo, Quechua, Guarani, Welsh, Cornish, Breton and Belarusian Łacinka alphabets. Mathematically speaking, the "Ж" symbol has a numeric value of “5” in the English alphabet while the letters "C" and "H" have a combined numeric value of “5” in the English alphabet, algebraicly speaking. 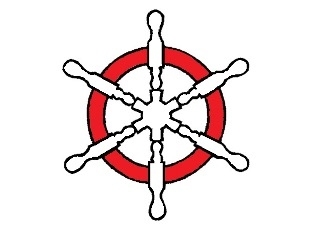 The "Ж" symbol tends to double as a Wheel of Fortuna and the Roman Eagle as depicted in the original flag of the Roman Empire and the coat of arms of the Swiss canton known as Geneva, home to the United Nations. The "Ж" symbol is evidently an acronym for “chi” or “chai” which is indicative of Switzerland, the heart or life force of the Roman Empire. The “ǂ” symbol is the 7th number/letter in the Roman Score (i.e., the Roman alphabet) and does not exist in the modern English alphabet. However, the “ǂ” symbol (i.e., the double-cross) is represented in the English alphabet by the letter “F” which is the 6th letter. Mathematically speaking, the “ǂ” symbol has a numeric value of “6” in the Roman Score while the letter “F” has a numeric value of “6” in English alphabet. The “ǂ” symbol”, which was likely derived from the Wheel of Fortuna, tends to double as the Fleur-de-lis which is featured most prominently in logo of the New Orleans Saints, a team in the National Football League. The “ǂ” symbol was also featured nakedly in “V for Vendetta” (2005) a film (see trailer) about a partiot being double-crossed. 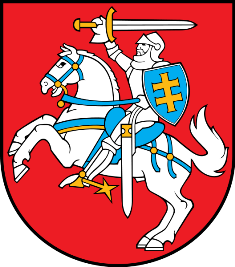 The “ǂ” symbol can be found today on the coat of arms of Hungary, Lithuania and Slovakia, as well as in the logo of Exxon Mobile, the world’s most profitable corporation. The “ǂ” symbol (i.e., the Patriarchal cross) is evidently an acronym for “double-cross” which is indicative of Greco-Roman behavior as evidenced by the slogan of Rome “By deception, thou shalt do war” which was most recently adopted by the Israeli Mossad. The “π” symbol (i.e., the pi symbol) is the 9th number/letter in the Roman Score (i.e., the Roman alphabet) and does not exist in the English alphabet. However, the “π” symbol is represented in the English alphabet by the letter "P" and is still used as a symbol in mathematics. Mathematically speaking, the “π” symbol has a numeric value of “8” in the Roman Score while the letter “P” has a numeric value of “16” in the English alphabet. 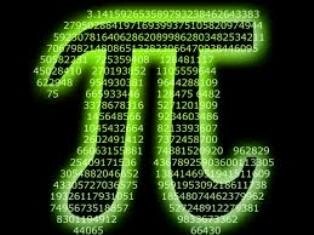 Coincidentally, the “π” symbol is also the 16th letter in the Greek alphabet which was created by the Greco-Roman scientist Ptolemy around 150 AD when he gave it the value of 3.1416. The “π” symbol, which was likely derived from the Wheel of Fortuna, tends double as the letter "K" turned 90° to the right, as well as the number 3.14159—repeating to infinity. The “π” symbol is evidently an acronym for “infinity” as the “π” fraction goes on forever. Coincidentally, the digital sum of “Greenland” is 8 (i.e., 7+18+5+5+14+12+1+14+4 = 80). The “S” symbol is the 10th number/letter in the Roman Score (i.e., the Roman alphabet) and the 19th letter in the modern English alphabet. Mathematically speaking, the “S” symbol has numeric value of “9” in the Roman Score while the letter "S" has the numeric value of “19” in the English alphabet. The “S” symbol, which was likely derived from the Wheel of Fortuna, tends to double as the letter “Z” which together form the foliage on either side of the Greco-Roman fasces (see photo below). This particular symbology is also evident in the Roman Score where the fasces symbol "T" is flaked by on either side by the "S" and "Z" symbols. When the letter "S" is followed by another letter "S" or the letter "Z", it is representative of both the Greco-Roman god of “Isis” and the god of Zeus (i.e., "SS", "SZ", ZS" or "ZZ"). 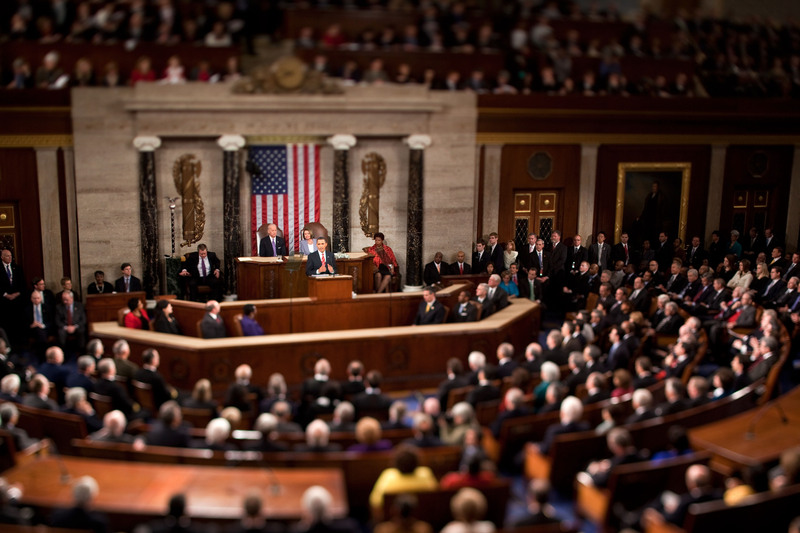 The "SS" was made famous during World War II by the elite Nazi terror squad known as the Waffen-SS and is currently hanging in the U.S. Senate in the form of the foilage wrapped around the two fasces. The "SS" is also depicted in the German alphabet by the letter “ß” which visually represent the letter “B”. The "Z" symbol is the 20th number/letter in the Roman Score (i.e., the Roman alphabet) and the 26th letter in the modern English alphabet. Mathematically speaking, the “Z” symbol has numeric value of “19” in the Roman Score while the letter "Z" has a numeric value of “26” in the English alphabet. The “Z” symbol, which was likely derived from the Wheel of Fortuna, tends to double as the letter “S” which together form the foliage on either side of the Greco-Roman fasces (see photo below). This particular symbology is also evident in the Roman Score where the fasces symbol "T" is flaked by on either side by the "S" and "Z" symbols. When the letter "Z" is followed by another letter "Z" or the letter "S", it is representative of both the Greco-Roman god of “Isis” and the god of Zeus (i.e., "SS", "SZ", ZS" or "ZZ"). 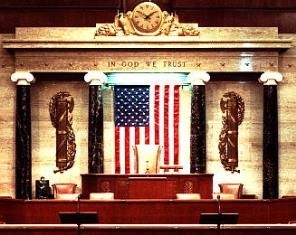 The "SS" was made famous during World War II by the elite Nazi terror squad known as the Waffen-SS and is currently hanging in the U.S. Senate in the form of the foilage wrapped around the two fasces. The "SS" is also depicted in the German alphabet by the letter “ß” which visually represent the letter “B”. The symbol "Z" is evidently an acronym for "Zion" or "Mt. Zion" which is located in Greenland. The “T” symbol is 19th number/letter in the Roman Score (i.e., the Roman alphabet) and the 20th letter in the modern English alphabet. Mathematically speaking, the “T” symbol has a numeric value of “18” in the Roman Score while the letter "T" has a numeric value of “20” in the English alphabet. 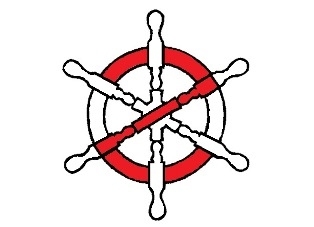 The “T” symbol, which was likely derived from the Wheel of Fortuna and is an acronym for the Roman capital city of Thule (ie., Atlantis, Greenland), Tiw (i.e., Týr), the god of single combat and destruction in Viking mythology, and the Cross of Tau, a double-sided axe which is currently depicted in the flag of Crete. "Tau" is also the official name for the letter "T" in the Greek alphabet where it is also the 19th symbol. 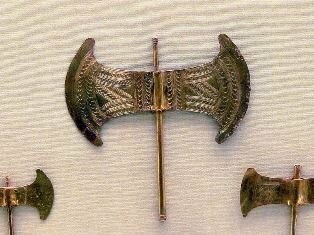 The modern name for a "Tau" (i.e., a double-sided axe) is "Labrys" (see photo below) which also originated from Crete and is widely recognized as one of the oldest symbols of Greek civilization. The “Γ” symbol is the 18th number/letter in the Roman Score (i.e., the Roman alphabet) and does not exist in the modern English alphabet. However, the symbol “Γ” is represented in the English alphabet by the letter "R". Mathematically speaking, the “Γ” symbol has a numeric value of “17” in the Roman Score while the letter “R” has a numeric value of “18” in the English alphabet. The “Γ” symbol tends to double as the number “7” as well as the letter “L”. The “Γ” symbol is evidently an acronym for “Rome” and the Greco-Roman god of “Ra”, similarily to how the letter "L" is an acronym for the Greco-Roman god of El. The “Γ” symbol, the letter "L", and the number "7" appear to be only three symbols in the Roman Score, the Roman-English alphabet, and modern Roman numeric system which were not derived from the the Wheel of Fortuna. Therefore, they appear sacred in Greco-Roman lore and have been chosen to represent the lineage of Minos of Crete (L), Rome (Γ), as well as Greenland (7=G). The “#” symbol is the 17th number/letter in the Roman Score (i.e., the Roman alphabet) and does not exist in the English alphabet. However, the “#” symbol is depicted in the English alphabet by the letters "S" and "H" which when added together forms the "SH" sound (i.e., /ʃ/). Mathematically speaking, the “#” symbol has a numeric value of “16” in the Roman Score while the letters "S" (19) and "H" (8) have a combined numeric value of "27" in the English alphabet. The “#” symbol either originated from the use of tally marks in monetary accounting and war, or by the addition of two double-crosses (i.e., “ǂ”) which consequently forms the “ǂǂ” or “#” symbol. The “#” symbol doubles as the sharp music symbol (i.e., ♯), the U.S. military service stripe, as well as the number sign which was recently popularized by the hashtag symbol which is often used by the users of social media platform known as Twitter. The “#” symbol is an acronym for “Sh” (a digraph in the Latin alphabet which features a combination of S and H) which may represent the Greco-Roman goddess of Shiva and/or the Swiss canton known as “Schaffhausen” whose ISO code is “SH”. Schaffhausen (meaning “Ship House” in English) evidently plays a key role in Switzerland’s ruling of the underworld as evidenced by the ram which adores its shield. The ram (R+M) is the animal mascot which symbolizes Rome (R+M) in the underworld. The “Ω" symbol is the 16th number/letter in the Roman Score and does not exist in the modern English alphabet. However, the “Ω” symbol (i.e., Omega symbol) is represented in the English alphabet by the letter "U". Mathematically speaking, the “Ω” symbol has a numeric value of “15” in the Roman Score while the letter “U” has a numeric value of “21” in the English alphabet. 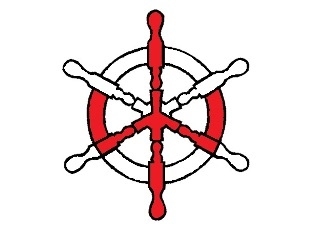 The “Ω” symbol, which was likely derived from the Wheel of Fortuna, tends to double as the Greek letter Omega. 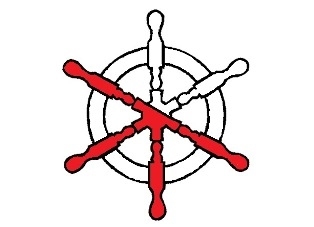 The “Ω” symbol is an acronym for the terms “You” and “Jew”, a description of those living outside of Utopia, an island society in the Atlantic Ocean (i.e., Greenland). The term “Utopia” (T+P) consonantly equates to the term “Top” (T+P) for Greenland sits atop of the world. An “ewe” (\ˈyü) is a full-grown female sheep, symbolizing that “Humans” or “Yumans” are sheep that must be sheered and slaughtered by the global shepherd (i.e., the Roman Empire). The area outside Utopia is coincidentally patrolled by “U-boats” whose name was curiously changed to "submarines" shortly after World War II. 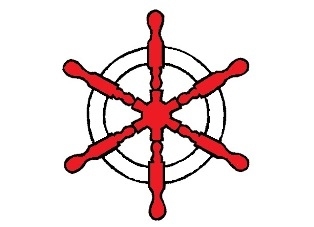 Because the United Kingdom is primarily responsible for the global defense of Greenland, the Omega symbol is found within the badge of the Supreme Court of the United Kingdom. The Omega symbol is also found within the logo of the Indianapolis Colts (albeit upside down) for within the Omega-shaped wall resides the Imperial Cult of Rome. The Ω-shape is also found in the clerical collar of Roman Catholic priests for they have historically been responsible for keeping the Greenland pure and clean. This sanctity has been achieved over the last 715 years by countless assassinations, terror attacks, wars and biological pandemics, most if not all of which have been either ordered or executed by members of the Roman Catholic Church. The “X” symbol is the 15th number/letter in the Roman Score and the 24th letter in the modern English alphabet. Mathematically speaking, the “X” symbol has a numeric value of “14” in the Roman Score while the letter "X" has a numeric value of “24” in the English alphabet. However, the “X” symbol in the Roman Score equates to the letter “N” in the English alphabet which has a numeric value of "14". The “X” symbol, which was likely derived from the Wheel of Fortuna, tends to doubles as the Jolly Rodger (i.e., a pirate's flag) and is internationally recognized as a symbol of death. The "X" symbol is evidently an acronym for the the term “North” which is indicative of the direction to Greenland from anywhere in the underworld. 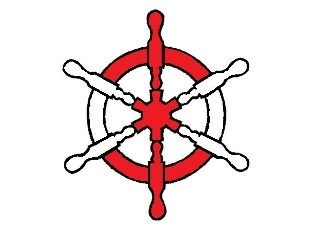 The "X" symbol as derived from the Wheel of Fortuna was recently popularized by the X-wing spacecraft from Star Wars. The “M” symbol is the 14th number/letter in the Roman Score (i.e., the Roman alphabet) and the 13th letter in the modern English alphabet. Mathematically speaking, the “M” symbol has a numeric value of “13” in the Roman Score while the letter "M" has a numeric value of “13” in the English alphabet. 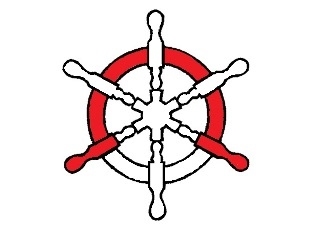 The “M” symbol, which was likely derived from the Wheel of Fortuna, is constructed by adding together two Greco-Roman Chevron symbols (“Ʌ”) which results in the “ɅɅ” symbol. The “M” symbol tends to double as an upside down trident as well as Aries the ram as depicted in the first month of the Roman calendar. The “M” symbol can also be seen as two “I"’s on either side of the letter “V” (i.e., the letter “V” equates to the letter “B” in the Roman Score which equals the number “13”), depicting the number “13” between the number “11” which is representative of the Pillars of Hercules. The letter “M” is evidently an acronym for the line of “Man” which ruled the Greco-Roman Empire and was founded by “Minos of Crete”. The “W” symbol is the 13th number/letter in the Roman Score (i.e., the Roman alphabet) and the 23rd letter in the modern English alphabet. Mathematically speaking, the “W” symbol has a numeric value of “12” in the Roman Score while the letter "W" has a numeric value of “23” in the English alphabet. The “W” symbol, which doubles as both the Roman Eagle and the trident symbol "ψ", holds the same pronunciation as the letter “V” in various non-English languages such as German. The “W” symbol, which was likely derived from the Wheel of Fortuna, is constructed by adding together two “V” letters which equates to “VV”. Since the “V” symbol equates to the letter "B" in the Roman Score, the symbol “W” equates to “BB” or "Babylon". The "Ш" symbol is evidently an acronym for "Victory" as in the Roman goddess of Victoria. The "H" symbol, which symbolizes the Pillars of Hercules, is the 12th number/letter in the Roman Score (i.e., the Roman alphabet) and the 8th letter in the modern English alphabet. Mathematically speaking, the letter “H” has a numeric value of “8” in the English alphabet while the “H” symbol has a numeric value of “11” in the Roman Score. 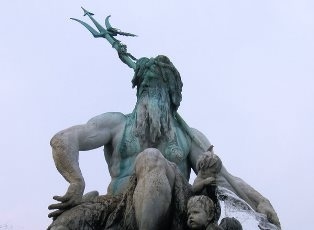 Interestingly, in the West, the number “8” symbolizes "infinity” or “forever” while in Basque language of Spain (where the Pillars of Hercules were located) the number "11" has a double meaning of infinite or endless. The letter “H”, which was likely derived from the Wheel of Fortuna, evidently morphed into the Pillars of Hercules as well as the Twin Towers which are seen around the world today. The letter “H” is evidently an acronym for the word “Hercules” which is indicative of the strength of the Roman Empire. 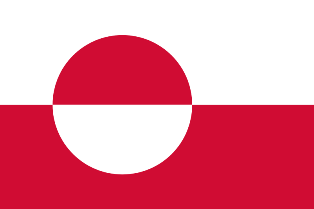 The "Ф" symbol, which symbolized the flag of Greenland, is the 11th number/letter in the Roman Score (i.e., the Roman alphabet) and does not exist in the modern English alphabet. However, the “Ф” symbol is represented in English alphabet by the letter “G” which is the 7th letter. Mathematically speaking, the letter “G” has a numeric value of “7” in the English alphabet while the “Ф” symbol has a numeric value of “10” in the Roman Score. The “Ф” symbol is represented in at least 8 other alphabets (e.g., the Cyrillic; the Danish; the Early Cyrillic; the Faroese; the Greek; the Norwegian; the Russian; and Southern Sami) as well as in numerous characters and symbols. 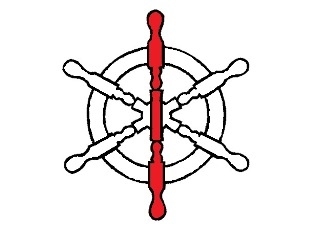 The "Ф" symbol, which was likely derived from the Wheel of Fortuna, tends to double as the Flag of Greenland as well as both the numbers “6” and “9”. The “Ф” symbol is evidently an acronym for the Greco-Roman gods and goddesses known as “Jah”, “Jehova”, “Gaia” and “Yahweh” which represent G.O.D., otherwise known as Greenland of Denmark.